I know what you are thinking. “At this rate, how long will it take Keith to write this story?” I said that with my schedule, it might take a while! On August 16, 1964, I came into this world. Born into an average middle-aged family, I was very blessed. My mom and dad were tw o of the hardest working people on the planet. They were married at a very young age. 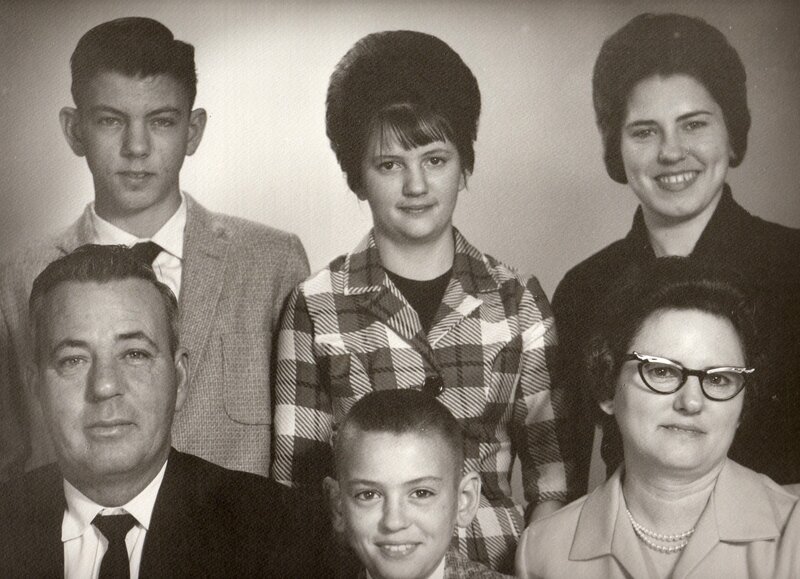 Dad was nineteen and mom was only fifteen. My mom’s dad was very much against them dating. Can you imagine your fifteen year old getting married? I don’t much blame granddaddy. But, in that day and time it was not as unusual for teens to marry. They would tell stories of how dad would do things to “work out” a way to see mom in spite of my granddaddy’s wishes. He once ran his car through some water to “drown out” the motor so that he would have to go to mom’s dad and borrow tools to fix it. That gave him a “reason” to see her. Dad’s dad, papa Davis, died before I ever got to know him. He was a carpenter. My dad followed in his footsteps. Dad was a master builder. He learned it at a young age. he could take wood from scratch and literally build masterpieces. I was always amazed at his abilities to draw out on a piece of paper from his mind and then translate that into a cabinet or a desk or a house! 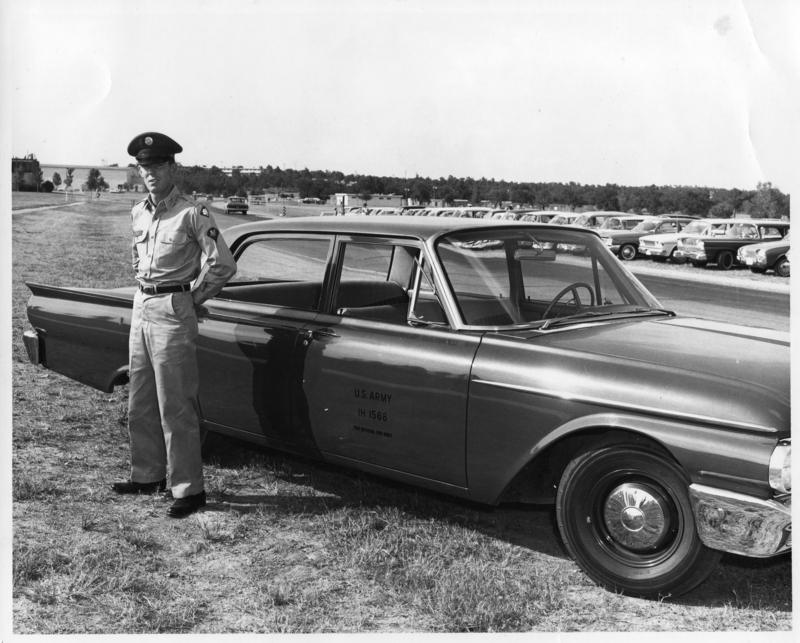 Aside from being a carpenter, just before I was born, dad spent time in the army as a post commander driver. He was responsible for driving the commander anywhere he was asked to take him. It was a sweet job for the army. Dad told stories about how cool the commander was to him. He told once how the commander would say, “Let’s see what this thing will do Davis!” He loved being given permission to drive as fast as he wanted. 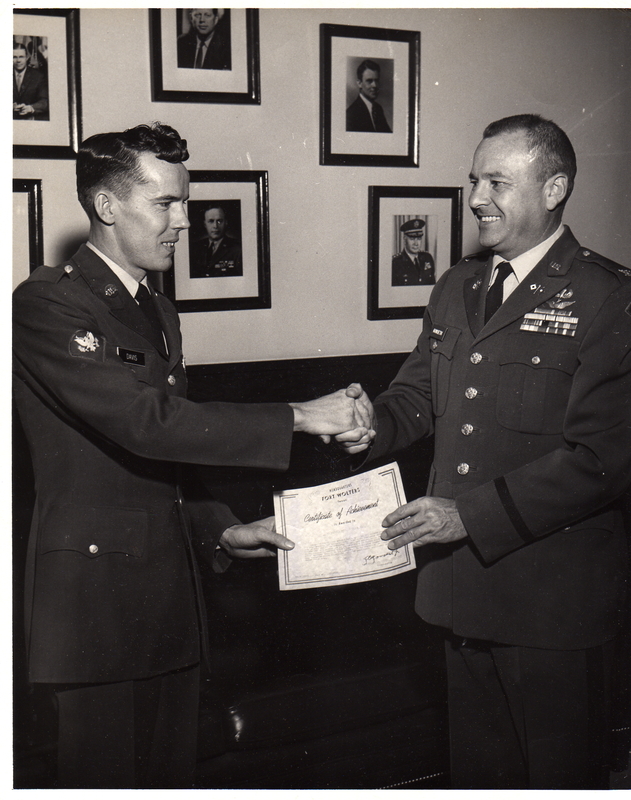 In the one picture to the right he is receiving an award for his service from the commander. Both of the pictures seen here of him were taken less than a year before I was born. Dad was a quiet man. He was one of those people who when he was in the room you would hardly notice him. Many times dad would try to say something only to have someone else but in. He would never say anything about it. He would just quietly wait his turn to return to the conversation. I will always remember that my dad was a man of generosity. It did not matter what it was that we needed, he always found a way to get it for us. Times were really tough for us for many years because of the economy. Work was slow lots of times, but I don’t ever remember missing a meal or not having a place over our heads at night. Mom was quite the opposite from dad in many ways. She never has had a loss for words. She has always been the kind of person who will take the bull by the horns and do what it takes to make things happen. She is a resourceful, smart lady who has one of the biggest servant hearts I know. Part of the reason for her resourcefulness stems from the fact that she was one of four children. She is pictured here in the top right hand corner. When she was younger, she had many responsibilities. My grandmother worked outside of the home in the “knitting mill.” That left mom to take care of her siblings. She tells of having to run the cow down in order to get milk for the family. While taking care of the household chores, she had to take care of her siblings. That was a recipe for growing up way too fast, but I guess it did teach her how to be responsible. I credit mom for helping me shape my faith. She was committed to going to church and making sure that we boys did the same thing. There were many fights at my house on Sundays about going to church. I’m so thankful that she made me do it. It really help me shape my future even though I didn’t know it at the time. There are so many more things I can and probably will say about my mom and dad and our lives together. I’m just really tired and it’s really late. I’ll write more later. This entry was posted on Monday, February 14th, 2011 at 12:48 am	and posted in Uncategorized. You can follow any responses to this entry through the RSS 2.0 feed. Glad you’re writing this, Keith. I’ve known a couple of master carpenters and they were amazingly talented people. Just their tools were intriguing because when they put wood to wood, it fit. We have all kinds of trim available to us when the wood doesn’t fit. That was unheard of to those guys. Bring on the next installment!